No one could doubt the influence of Queen Victoria during her reign for it even changed the homes of the people in her era. People who belonged to the middle class decorated their homes with grandeur pride showing their status in the society. This brought people to redesign their homes with revisions of Gothic, rococo and Oriental styles. 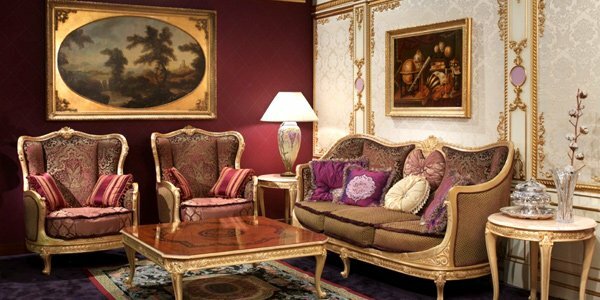 You can see eclectic mixture of style, heavily upholstered furniture, excessive ornamentation, realistic portrays of flowers, birds and animals, wooden carvings, with silver, brass and golden accents. 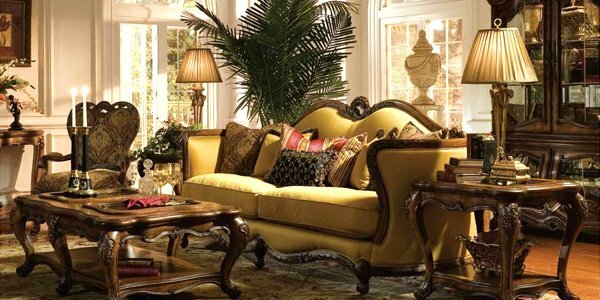 One of the most loved living room designs is the Victorian style which can be easily done by using plenty of gleaming metal with intricate designs in furnishings, photo frames and accessories. 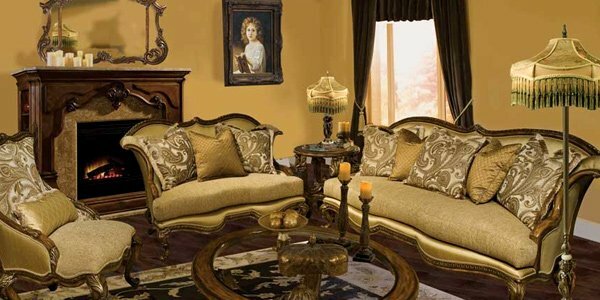 But aside from that, there are still other ways to create a Victorian themed living room. We will be giving you tips on how you could do that. 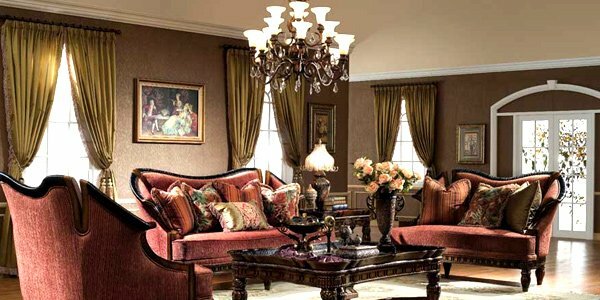 You will surely be pleased to find out that it is not difficult to create a living room with Victorian style. Find out how. 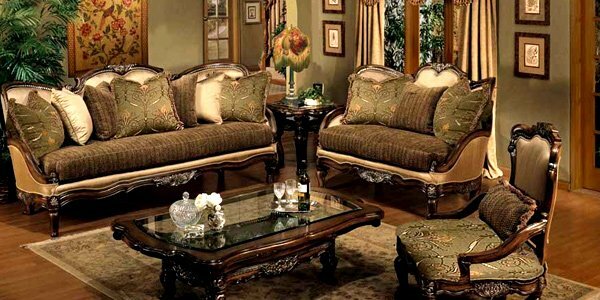 Most Victorian furniture has ornate wooden carved embellishments with rich fabrics. You can also use seating pieces that are upholstered in brocade, velvet and embroidered. Add some throw pillows with attractive covers. Choose furniture with exposed wood in some parts like on the arm rest, legs and along the upper back of the chair. Use a table that is carved, marble topped, spindled or faux bamboo. You can accent it with traditional-style lamps and porcelain jars with crocheted doilies under it. For a more classical look, place a bookcase that can fill from floor to ceiling. 2. Use dark colors and rich shades. 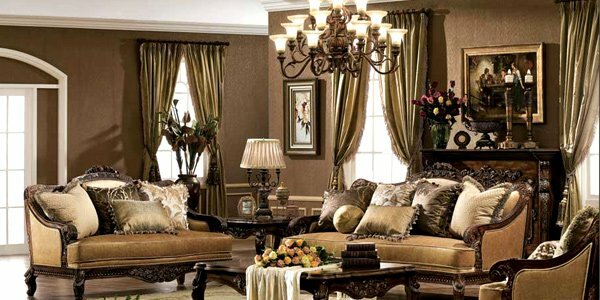 Dark and bright shades with rich colors are used to get a Victorian look. Woodwork should be of dark tones also so that it can go along the other shades in the room. The use of red, burgundy, violet, yellow and blue is very common in a Victorian room. But white can still be used as long as you use Victorian furniture. 3. Place intricate window treatments. Use elaborate window treatments like swags, valances and tiebacks. Use fabrics that are silk, brocade and damask. Trim these with tassels, cords, braid and crystals to add more embellishments. You can also have a stained glass window if you are willing to spend money for it. 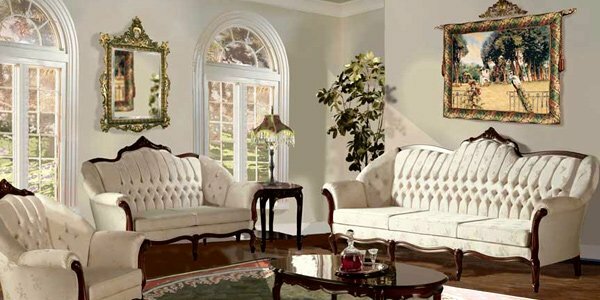 To get that Victorian look, use decorative mouldings, ornaments, plasterwork and arches for your walls. Arches can create a grand look while plasters and mouldings give that look of authenticity. These things may cost a lot but would certainly give you the look you want. But if you want to save money, you can opt for walls with deep rich colors like red. You may also apply unique wallpapers with metallic or ornate prints. Victorian floors are usually high patterned. They use tiles that really show some lavish designs and patterns. You can do this but just make sure that the furniture and the wall will complement with your floor. If you used a heavy patterned floor, then opt for a lighter wall and a lighter carpet so that your room will not look too heavy and bulky. Hang ancestral portraits and paintings in the wall with wooden frames. Also install a crystal chandelier overhead your living room. Use free standing lamps with decorative shades and brass stands. For added look, hang Victorian-style plates or silver wares, place candle sconces and mirrors with elaborate gold or wood carved frames. You can even add a grandfather’s clock for a more classic look. 7. Massive use of fabric. Use lavish designs of fabric anywhere you could. You can even use it as wallpaper if you want. Light fabric will look good for your wall paper although it would really cost a lot but using such will surely create a grandeur look for your living room. 8. Use stained glass and stone fireplaces. Using these two will add a Victorian touch to your living room. Using stained glass windows or stained glass accents add a bright mood in the area. The fireplace made with stone or polished marble can make your living room look classic. 9. Place fruits, candles and flowers. Your room will look more Victorian if you place roses in a pot, fruits in a bowl and some beautiful candles. 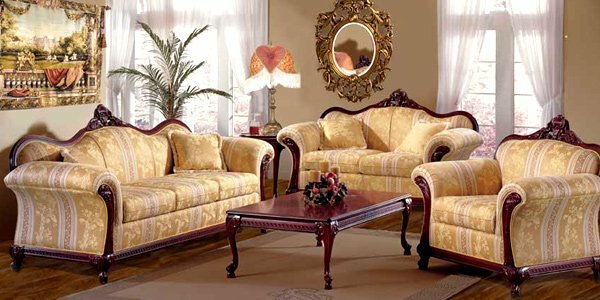 These are just simple things but will surely enhance the beauty of the living area and will make it look more inviting. Lay a patterned carpet with Oriental pattern, scroll design, and others. You can place this from wall to wall or you may also just place it centered in the living room. Aside from carpets, you can also use floor cloths with a canvas painted on it for less grand rooms. 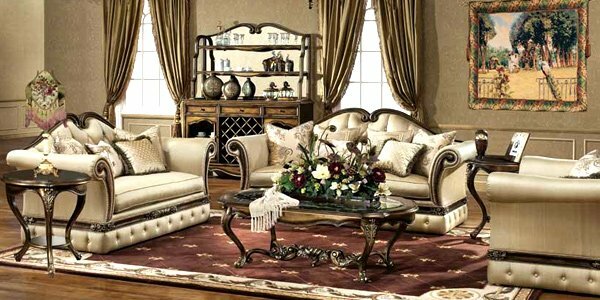 Primarily, you need to get the right furnishings for your living room to get that Victorian look. It also requires care, effort and creativity in order to come up with a totally dashing design. You should really be able to have a good arrangement of accessories, too. Whatever you place in your living room will surely contribute to the beauty of it when placed well. But you don’t have to worry if you spend much effort decorating for you’ll surely end up happy and satisfied after seeing a grand luxurious living room design.